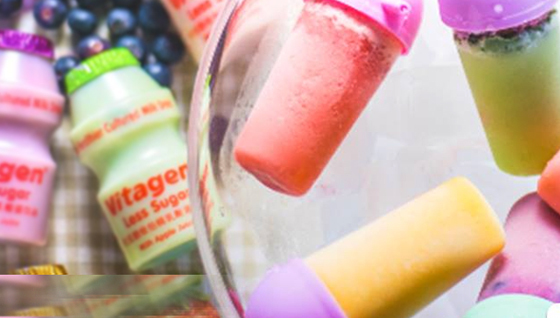 Step 1 Freeze VITAGEN Less Sugar LB Original in container until frozen. Step 2 Mix gelatine powder, green tea powder & sugar together then pour into water, stir well. Step 3 Boil about 5 minutes and pour into mould or cup, then place in the refrigerator until set. 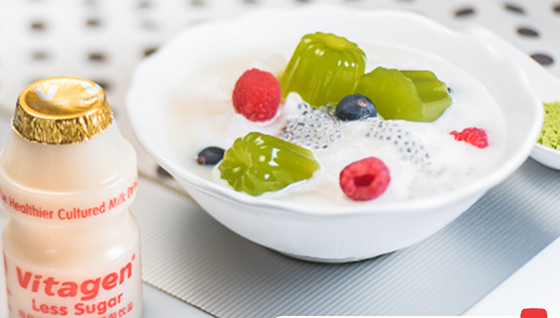 Step 4 To serve, fluff the frozen VITAGEN Less Sugar LB Original by grating with a fork. Top green tea jelly with granita, mixed berries & lemon zest.